Special Olympics strives to be a leader in implementing leading edge nonprofit governance practices, including meeting or exceeding the U.S. Sarbanes-Oxley Act, Better Business Bureau Wise Giving Alliance, and United States Internal Revenue Service standards. Special Olympics International is the governing body of the global Special Olympics movement. Special Olympics is responsible for maintaining and implementing the Special Olympics General Rules, which include the requirements, obligations, and policies that guide all levels of the movement. Special Olympics has been an innovator concerning Board of Directors governance. For example, the Special Olympics Board of Directors includes seven Directors elected by Special Olympics Accredited Program leaders—one from each of seven geographic Regions covering the world. In addition, Special Olympics has established the office of Lead Director—a Board officer elected from the independent Directors whenever the Board Chair is compensated or is also serving as Chief Executive Officer. The Lead Director, Stephen Carter, chairs the Board’s Executive Committee and Compensation Committee, and makes the final decision on conflict of interest issues relating to Directors or officers. Special Olympics International is committed to efficiency and transparency. 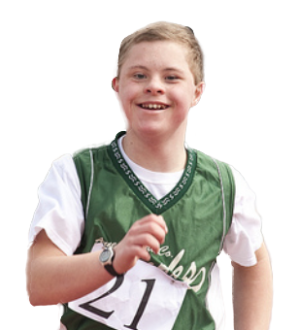 We communicate with our supporters, donors, and prospective donors by email, postal mail, phone, and other means, both to request contributions to our cause and to educate the public about Special Olympics’ year round sport and health programs, volunteer opportunities, and Unified events in local communities and around the world. These efforts help advance our mission to change attitudes toward people with intellectual disabilities and to transform lives through the joy of sport, every day, everywhere. As a result, in accordance with the independent Financial Accounting Standards Board (FASB) guidelines and U.S. Internal Revenue Service (IRS) guidance, SOI allocates a portion of our fundraising costs to program services. As a nonprofit organization that is exempt from federal taxation, we ensure our donors’ money is spent as efficiently and effectively as possible.